If you’ve been following me, you’ll know I’ve been giving away three books a week all summer! 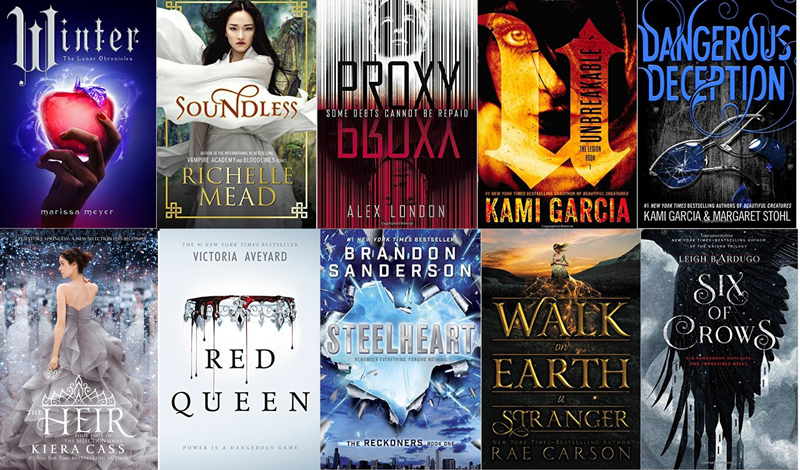 I’m setting up the last giveaway of young adult books for the summer – so sign up to win 6 new scifi and fantasy releases. Make sure you scroll down to see ALL the new releases I’m excited about! Twins Carys and Andreus were never destined to rule Eden. With their older brother next in line to inherit the throne, the future of the kingdom was secure. But appearances—and rivals—can be deceiving. When Eden’s king and crown prince are killed by assassins, Eden desperately needs a monarch, but the line of succession is no longer clear. With a ruling council scheming to gain power, Carys and Andreus are faced with only one option—to take part in a Trial of Succession that will determine which one of them is worthy of ruling the kingdom. As sister and brother, Carys and Andreus have always kept each other safe—from their secrets, from the court, and from the monsters lurking in the mountains beyond the kingdom’s wall. But the Trial of Succession will test the bonds of trust and family. With their country and their hearts divided, Carys and Andreus will discover exactly what each will do to win the crown. How long before suspicion takes hold and the thirst for power leads to the ultimate betrayal? When a sudden storm slams Katy’s boat into the shore, she’s forced to enter the lawless wasteland she’d avoided since the world ended. The horror she discovers amongst the ruins is far worse than she could have imagined. The masked warriors of the Venganza clan chase Katy through the post-apocalyptic landscape, forcing her to decide between her past or the survivors’ future — a decision that could determine the fate of the human race. When Cedric, crowned prince of Caelum, and his fellow royal friends (including his betrothed, Kat) find themselves stranded in modern-day LA via a magical portal and an evil traitor named Malquin, all they want to do is get home to Caelum—soon. Then they meet Liv, a filmmaker foster girl who just wants to get out of the system and on with her life. As she and Cedric bond, they’ll discover that she’s more connected to his world than they ever could’ve imagined…and that finding home is no easy task. Aurora Pavan comes from one of the oldest Stormling families in existence. She’s the sole heir of Pavan, and has been groomed since childhood to be the perfect queen. Aurora is intelligent, brave, and honorable – but she has yet to show any trace of magic she’ll need to protect her people. To keep her secret, her mother arranges for her to marry a dark and brooding Stormling prince from another kingdom. It seems to be the perfect solution to all her problems – her spot as the next queen is guaranteed, and he will be the champion her people need to remain safe. But the more secrets Aurora uncovers about him, the more a future with him frightens her. When she dons a disguise and sneaks out of the palace one night to spy on him, she stumbles upon a black market dealing in storm magic, and the people who are selling it are storm hunters and not Stormlings. Now Aurora realizes that there’s a third option for her future besides ruin or marriage. She just has to be brave enough to steal it. Katherine and Matthew are destined to be born again and again, century after century. Each time they are total strangers thrust together under unusual circumstances. Each time their presence changes history for the better. And each time they fall hopelessly in love, only to be tragically separated. Why does fate keep bringing them together to save the world, and what must they achieve before they can finally be left to love in peace? Maybe the next together will be different. . . .
Kate Harker is a girl who isn’t afraid of the dark. She’s a girl who hunts monsters. And she’s good at it. August Flynn is a monster who can never be human. No matter how much he once yearned for it. He has a part to play. And he will play it, no matter the cost. Nearly six months after Kate and August were first thrown together, the war between the monsters and the humans is a terrifying reality. In Verity, August has become the leader he never wished to be, and in Prosperity, Kate has become the ruthless hunter she knew she could be. When a new monster emerges from the shadows—one who feeds on chaos and brings out its victim’s inner demons—it lures Kate home, where she finds more than she bargained for. She’ll face a monster she thought she killed, a boy she thought she knew, and a demon all her own. Across the Four Lands, peace has reigned for generations. But now, in the far north, an unknown enemy is massing. More troubling than the carnage is the strange and wondrous power wielded by the attackers—a breed of magic unfamiliar even to the Druid order. Fearing the worst, the High Druid dispatches a diplomatic party under the protection of the order’s sworn guardian, Dar Leah, to confront the mysterious, encroaching force and discover its purpose. But another crucial journey is being undertaken. Exiled onetime High Druid Drisker Arc has been living in quiet seclusion, far from the politics and power struggles of his former life, until two brutal attacks by would-be assassins force him to seek out an infamous murder-for-hire guild—and find the hidden enemy who has marked him for death. At his side is Tarsha Kaynin, a young woman gifted with the wishsong and eager to be schooled in its formidable power by a master. She, too, is pursuing a mission: to locate her wayward brother, whose own magic has driven him to deadly madness and kindled his rage for vengeance . . . against his sister. Absolution: A system of law in which young men and women, “Runners,” are paid bounties, or blood money, to become suspects in crimes committed by the wealthy. The way they are proven innocent? Evade, escape, and survive their hunters. At nineteen, Marisol never thought she would be a tracker of humans. In this post-apocalyptic world where justice is determined by a system of Absolution, Marisol steps up to do her duty. She hates everything that Absolution stands for, but there’s nothing she can do about it. Nothing, that is, until one of her Runners turns out to be the key to uncovering a vast conspiracy that threatens to topple the dictator of New Chicago and change their lives forever. Hope escaped the Underworld with her life, but her memories are as blank as the Book of the Fates she brought back. Still determined to break the curse, she and Xan take an offering to the Olympian temple to solicit the goddess Artemis for aid. But the petition has disastrous results, and now the gods are hunting her. Athan sacrificed everything for Hope, but she’s leaving him behind to travel with Xan to Mount Olympus. But the closer they get, the more Athan’s mortality becomes a liability. Forced to seek refuge in mists and darkness, Athan tangles with deities that weave the very threads of fate. But these goddesses also wield the immortal blades that lay ruin to destinies. With everyone she loves damaged or destroyed by the blood of Olympus, Hope must face the power of the past to change the fate of her future. Lada Dracul has no allies. No throne. All she has is what she’s always had: herself. After failing to secure the Wallachian throne, Lada is out to punish anyone who dares to cross her blood-strewn path. Filled with a white-hot rage, she storms the countryside with her men, accompanied by her childhood friend Bogdan, terrorizing the land. But brute force isn’t getting Lada what she wants. And thinking of Mehmed brings little comfort to her thorny heart. There’s no time to wonder whether he still thinks about her, even loves her. She left him before he could leave her. What Lada needs is her younger brother Radu’s subtlety and skill. But Mehmed has sent him to Constantinople—and it’s no diplomatic mission. Mehmed wants control of the city, and Radu has earned an unwanted place as a double-crossing spy behind enemy lines Radu longs for his sister’s fierce confidence—but for the first time in his life, he rejects her unexpected plea for help. Torn between loyalties to faith, to the Ottomans, and to Mehmed, he knows he owes Lada nothing. If she dies, he could never forgive himself—but if he fails in Constantinople, will Mehmed ever forgive him? As nations fall around them, the Dracul siblings must decide: what will they sacrifice to fulfill their destinies? Empires will topple, thrones will be won . . . and souls will be lost. Mira is not like the other Glittering Court girls. She is a war refugee, cast out of her home country and thrust into another, where she has learned to fight against the many injustices around her. For some, the Glittering Court offers a chance at a life they’ve only ever dreamed of, one of luxury, glamour, and leisure. But for Mira, it’s simply a means to an end. In the new world, she plans to earn off her marriage contract price, and finally be free. Mira pitches herself as an asset to one of the passengers on board the ship: the sardonic and aloof Grant Elliot, whom she’s discovered is a spy for the prestigious McGraw Agency—and her ticket to buying her freedom. His cover blown, Grant has little choice but to take her on. Mira applies herself by day, learning the etiquette and customs that will help to earn her anonymity. By night, she dons a mask and slips into the city, fighting injustice and corruption on her own terms—and impressing Grant with her extraordinary abilities and insights into a brewing rebellion. But the rebellion isn’t all they’re fighting… Neither of them can ignore the attraction burning between them—an attraction so powerful, it threatens to unravel everything Mira’s worked so hard for. With freedom finally within her grasp, can Mira risk it all for love? Sixteen-year-old alien Val Stone was born for one mission—to kill teenage Randolf “Rolf” Cartier before he fulfills an age-old prophecy, becomes the future American president, and murderers thousands of her kind. Val is ready to sacrifice herself for the good of her people. She knows every aspect of Rolf’s life and is prepared to strike. But what she doesn’t know is that Rolf’s been watching her, too. Waiting for her. Ready to defeat her and save himself. Only when the day arrives, doubt overcomes purpose, and they discover the prophecy was all a hoax. Oh, and they can’t seem to stop thinking about each other. Now they’re running against the clock, desperate to reveal who created the fake prophecy before tensions erupt and there’s nothing left but the memory of a species called human. Cvareh returns home to his sky world of Nova with the genius crafter Arianna as his temperamental guest. The mercurial inventor possesses all the Xin family needs to turn the tides of a centuries-old power struggle, but the secrets she harbors must be earned with trust — hard to come by for Ari, especially when it comes to Dragons. On Nova, Ari finds herself closer to exacting vengeance against the traitor who killed everything — and everyone – she once loved. But before Ari can complete her campaign of revenge, the Crimson Court exposes her shadowed past and reveals something even more dangerous sparking between her and Cvareh. While Nova is embroiled in blood sport and political games, the rebels on Loom prepare for an all-out assault on their Dragon oppressors. Florence unexpectedly finds herself at the forefront of change, as her unique blend of skills — and quick-shooting accuracy — makes her a force to be reckoned with. For the future of her world, she vows vengeance against the Dragons. Hoarding all the knowledge of the world, the Great Library jealously guards its secrets. But now a group of rebels poses a dangerous threat to its tyranny…. Jess Brightwell and his band of exiles have fled London, only to find themselves imprisoned in Philadelphia, a city led by those who would rather burn books than submit. But Jess and his friends have a bargaining chip: the knowledge to build a machine that will break the Library’s rule. Their time is running out. To survive, they’ll have to choose to live or die as one, to take the fight to their enemies—and to save the very soul of the Great Library…. In modern day New York, magic is all but extinct. The remaining few who have an affinity for magic—the Mageus—live in the shadows, hiding who they are. Any Mageus who enters Manhattan becomes trapped by the Brink, a dark energy barrier that confines them to the island. Crossing it means losing their power—and often their lives. Esta is a talented thief, and she’s been raised to steal magical artifacts from the sinister Order that created the Brink. With her innate ability to manipulate time, Esta can pilfer from the past, collecting these artifacts before the Order even realizes she’s there. 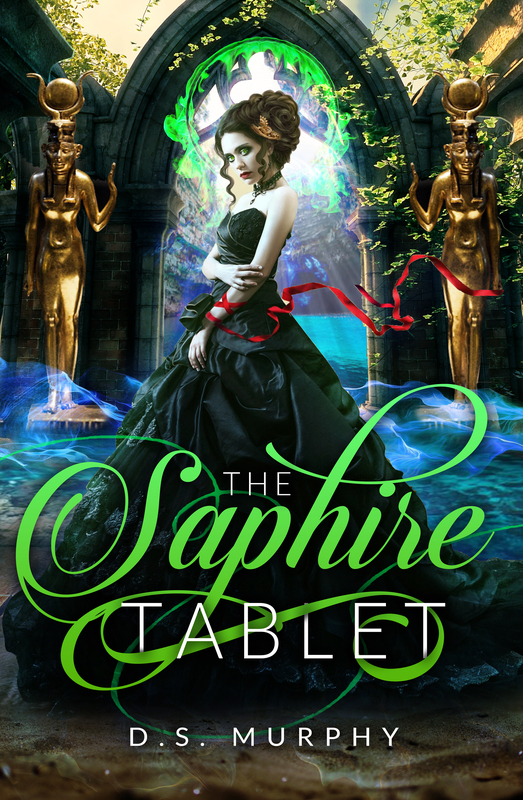 And all of Esta’s training has been for one final job: traveling back to 1902 to steal an ancient book containing the secrets of the Order—and the Brink—before the Magician can destroy it and doom the Mageus to a hopeless future. But Old New York is a dangerous world ruled by ruthless gangs and secret societies, a world where the very air crackles with magic. Nothing is as it seems, including the Magician himself. And for Esta to save her future, she may have to betray everyone in the past. Matrona lives in an isolated village, where her life is centered on pleasing her parents. She’s diligent in her chores and has agreed to marry a man of their choosing. But a visit to Slava, the local tradesman, threatens to upend her entire life. Entering his empty house, Matrona discovers a strange collection of painted nesting dolls—one for every villager. Fascinated, she can’t resist the urge to open the doll with her father’s face. But when her father begins acting strangely, she realizes Slava’s dolls are much more than they seem. When he learns what she’s done, Slava seizes the opportunity to give Matrona stewardship over the dolls—whether she wants it or not. Forced to open one of her own dolls every three days, she falls deeper into the grim power of Slava’s creations. But nothing can prepare her for the profound secret hiding inside the fifth doll. Sixteen-year-old Sorina has spent most of her life within the smoldering borders of the Gomorrah Festival. Yet even among the many unusual members of the traveling circus-city, Sorina stands apart as the only illusion-worker born in hundreds of years. This rare talent allows her to create illusions that others can see, feel and touch, with personalities all their own. Her creations are her family, and together they make up the cast of the Festival’s Freak Show. But no matter how lifelike they may seem, her illusions are still just that—illusions, and not truly real. Or so she always believed…until one of them is murdered. Desperate to protect her family, Sorina must track down the culprit and determine how they killed a person who doesn’t actually exist. Her search for answers leads her to the self-proclaimed gossip-worker Luca. Their investigation sends them through a haze of political turmoil and forbidden romance, and into the most sinister corners of the Festival. But as the killer continues murdering Sorina’s illusions one by one, she must unravel the horrifying truth before all her loved ones disappear. Dion, now king of Xanthos, is finally in command of the naval fleet he’s always dreamed of. But his hopes for peace are jeopardized when King Palemon, in dire need of ships to rescue his starving people from the frozen wastelands of the north, invades the Salesian city of Malakai. Too weak to confront Dion directly, Palemon turns to magic: mysterious copper chains from the lost civilization of Aleuthea, which have the potential to control dragons…and Dion. With the people he loves in danger, and his own freedom at risk, Dion’s only hope is Chloe and the power she struggles to tame. With 23 all-original Science Fiction and Epic Fantasy novels, Dominion Rising is the boxed set of the year! The collection features nearly 8,000 pages and over a million words in total – bringing you sharp, suspenseful, and thought-provoking novels of dark forces and light, of magic and adventure, of enchanted swords and galactic empires. After surviving her otherworldly adventure, Lily wakes up on her nana’s farm having forgotten everything. Her sun prince, her travels to Egypt, and her journey to the Afterlife are all distant memories. But Lily is not the girl she once was. Her body is now part human, part lion, and part fairy. And if that isn’t bad enough, she must harness this power of three and become Wasret: a goddess destined to defeat the evil god Seth once and for all. With the help of her old friend Dr. Hassan, Lily departs on her final voyage through the cosmos and across the plains of Egypt. On the journey, she will transform into the being she is destined to become. The struggle to get into a top-tier college consumes sixteen-year-old Genie’s every waking thought. But when she discovers she’s a celestial spirit who’s powerful enough to bash through the gates of heaven with her fists, her perfectionist existence is shattered. Enter Quentin, a transfer student from China whose tone-deaf assertiveness beguiles Genie to the brink of madness. Quentin nurtures Genie’s bodacious transformation—sometimes gently, sometimes aggressively—as her sleepy suburb in the Bay Area comes under siege from hell-spawn. This epic YA debut draws from Chinese folklore, features a larger-than-life heroine, and perfectly balances the realities of Genie’s grounded high school life with the absurd supernatural world she finds herself commanding. Despite her resolve to cut ties with the rebellion, Sage Blackwell is forced to turn to her old allies…But when the ultimate betrayal puts her in an impossible position, she has to make a life changing decision: freedom or peace? From the moment he meets Sage, Crown Prince Tehl Ramses finds himself confronted with one surprise after another- and he hates being the fool. Ensnared in the rebellion’s intricate web of trickery and blackmail, Tehl is forced to take desperate measures: war or compromise?Both Tehl and Sage will do whatever’s necessary to avoid the pending war, even if it means becoming reluctant allies. Tempers rise, myths are unveiled, and assassins abound. Can they put aside their prejudices to protect their people? Or will they tear Aermia and each other apart? Which of these have you read? What are you excited to read next? Some friends of mine are doing big giveaways this month and I wanted to make sure you knew. HJ Lawson is giving away a big giveaway with $400 in prizes, including a year of Kindle Unlimited. Six of my friends are giving away 20 bestselling hardcovers on theYAshelf – you may already have some of these but they’re all pretty epic if you haven’t read them yet. Finally, Dystopian December is still going on, with lots of prizes. A bunch of dystopian books are on sale, and you can win signed books, a Kindle Fire and some other things. I’m hoping to have ARC copies of Shearwater out this month, and the updated Scarlet Thread as well – in the meantime, make sure you download the free anthology, That Moment When. I’ve been in love with these lamps since I saw them about a year ago, so I just ordered a bunch of them to use for Christmas presents. I’m planning to add covers from classic books to each of them. I’m giving away three of them for the holidays (they make great gifts!). This giveaway is for YA fans and readers. 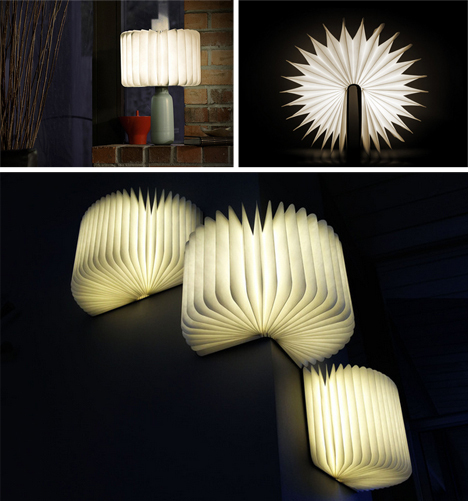 I didn’t realize these lamps were probably invented by Lumio (they were on Shark Tank, a friend tells me…). 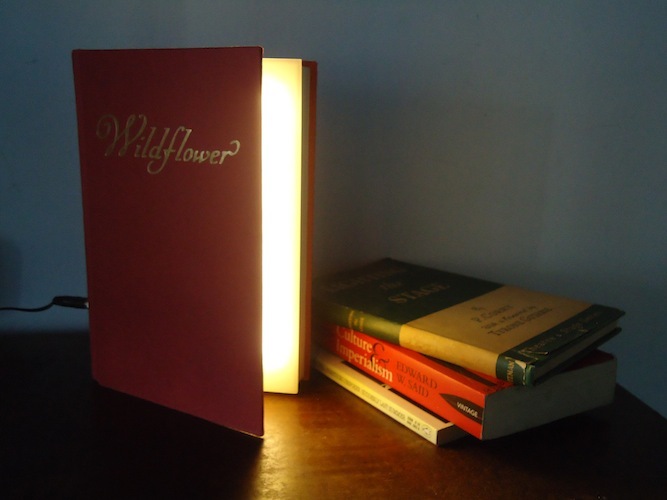 The ones I ordered are not official Lumio lamps, they’re knock offs, but I plan to customize them with antique book covers. Still, credit should go to Lumio, this is their website. Sign up and share to win. I’ll be running increasingly awesome giveaways until the end of the year, so stay tuned for more!